The WheelHowes Trio (WHT) features Sarah Van Pelt Wheeler, Lori Howes, and Mike Bernier. Mic Drop’s unique sound originates from the vast amount of time these three spend singing, playing, and gigging together! This trio is quite versatile as well! 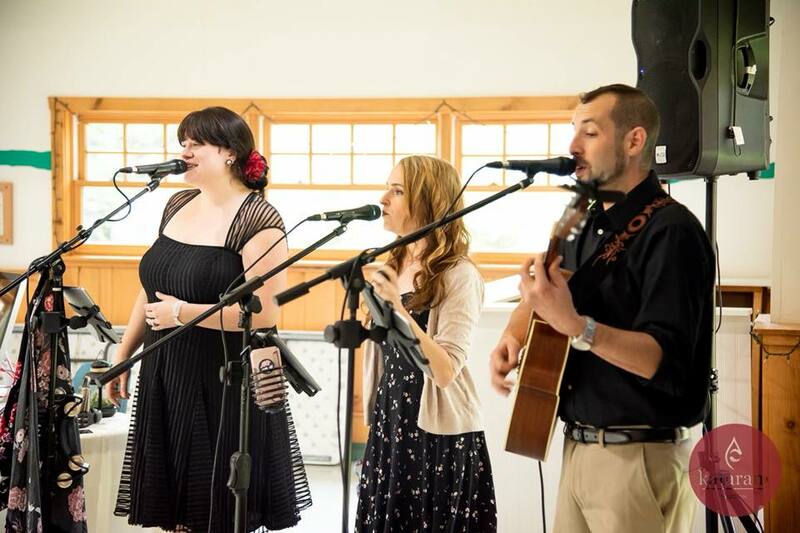 Whether performing at clubs, restaurants, bars, wedding receptions, cocktail hours, wedding ceremonies, wedding expos, bridal showers, corporate events, and fundraising galas, The WheelHowes Trio is equipped to take it all on - in 3 part harmony! Contact us today for scheduling and prices! Thank you to @kataramstudios for capturing these from another successful @bridalshowsbykelly show at the beautiful @watersmansion!